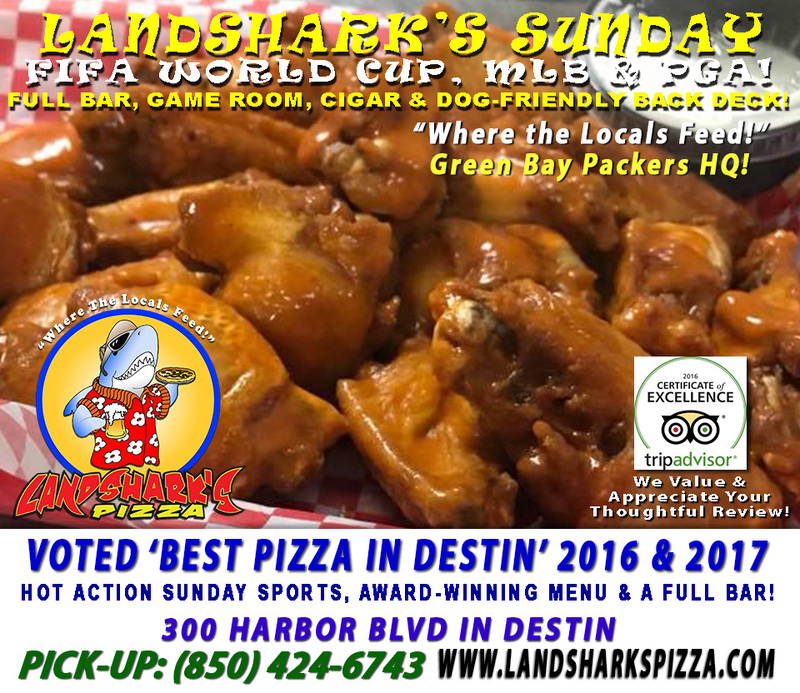 / Best Pizza In Destin Florida / Super Saturday at Landshark’s in Destin with NASCAR, PGA The OPEN, Exciting MLB & MORE! 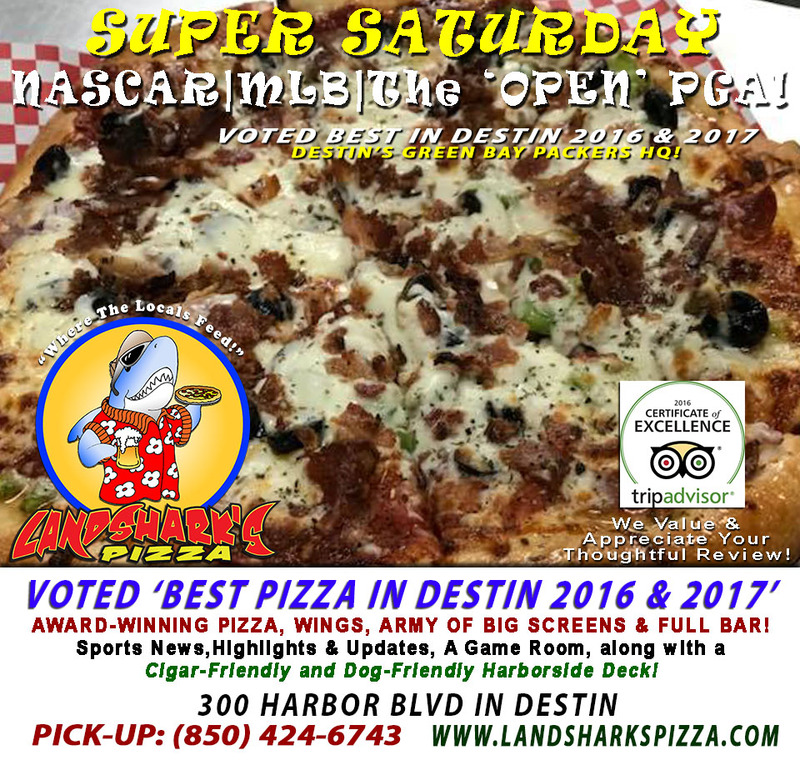 Super Saturday at Landshark’s in Destin with NASCAR, PGA The OPEN, Exciting MLB & MORE! 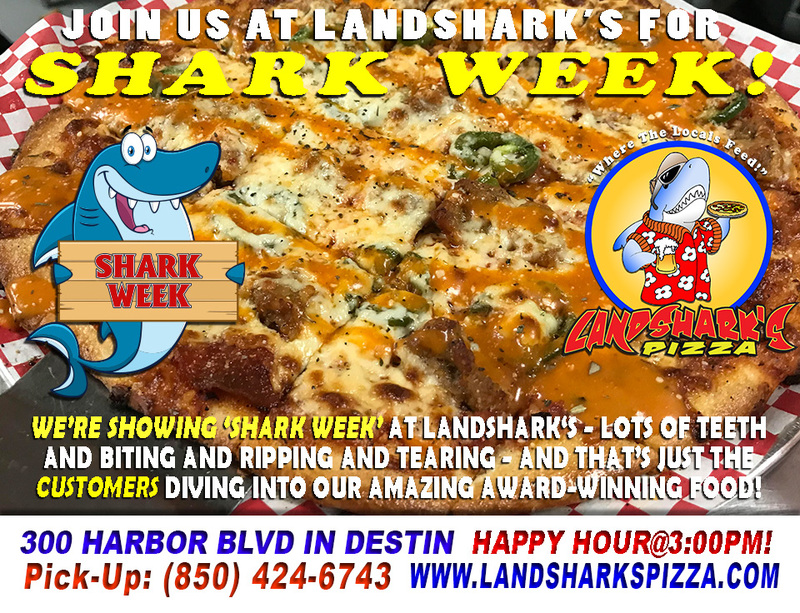 The BEST Pizza, Wings & More in Destin Today, Landshark’s has you SET UP baby – NASCAR Xfinity, THE OPEN PGA MAJOR, the Best Pizza, Wings & More! 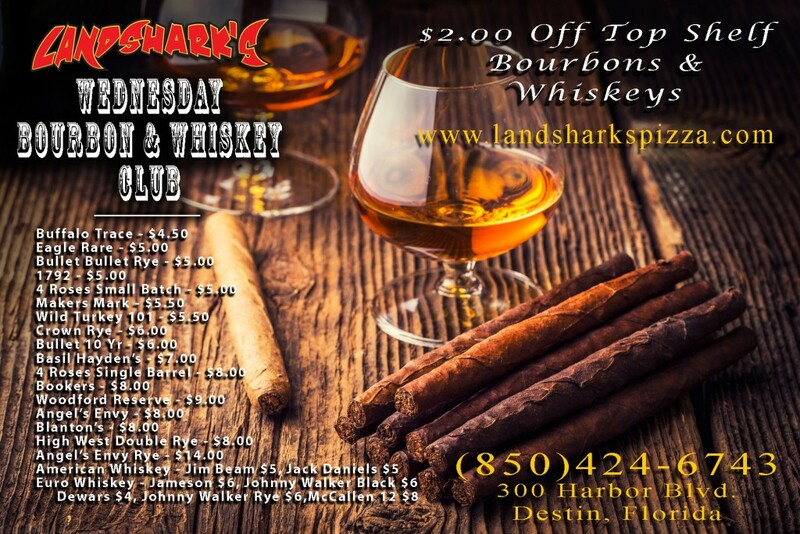 Previous Post: « Action Sunday FIFA WORLD CUP, WIMBLEDON TENNIS, MLB & PGA with MIMOSAS & BLOODY BRIANS! 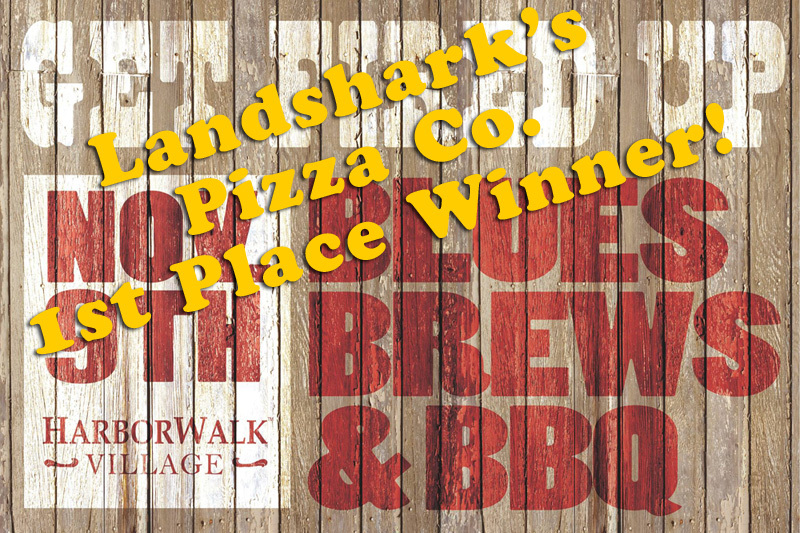 VOTED BEST PIZZA & WINGS IN DESTIN! 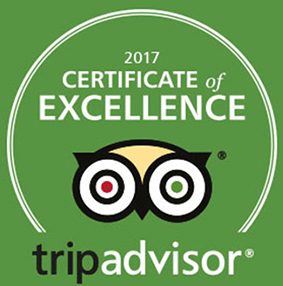 2016, 2017 and 2018 CERTIFICATE OF EXCELLENCE WINNER!